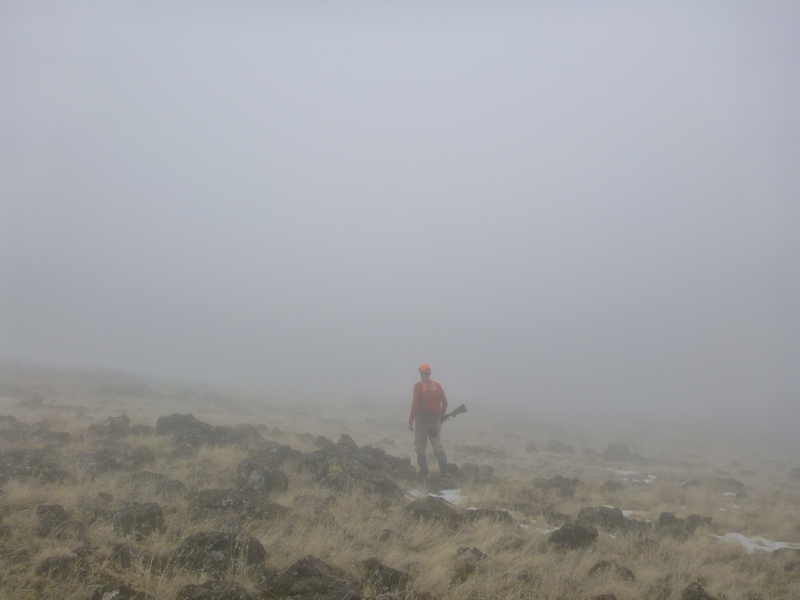 Our last day to hunt this season got fog-shortened. But at least we got out. Walking was hard, we couldn’t find many birds despite plenty of sign, and got lost a couple of times because of the blowing pea soup and its disorienting properties. I kind of like those properties. So that’s it for this year. I’m grateful my wife could join us so many times this year and for her nice camera eye. Trudging around in the sloshy conditions for 3-1/2 hours today gave me some good time, with suitable environmentals, to think about the lament I was to play at Burns Night later that evening. The soundtrack to the video (below) is called “Lament” (by Paul Motian). I think it sounds like sad fog. But cathartic sad fog. Lament for those old patched up pants that I made you throw away today? It was a great season. Looking forward to September already! 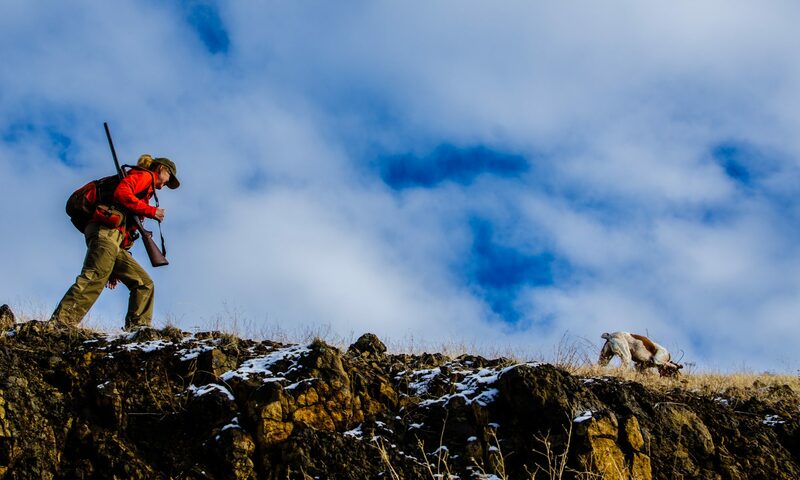 You’re the best hunting partner (don’t tell Angus that!). Thanks, Larry. Here’s hoping our paths cross on a hill one day.